The latter promo teases a reunion that’s been sought after season one: Jon and Arya. Meanwhile, narration informs us that “this goes beyond loyalty; this is about survival.” Neat! But then there’s “Aftermath,” an ominous new teaser posted early on Monday. There’s no voices. No characters. No optimism. No, it’s just an empty, broken Winterfell buried beneath blowing snow. Icing over in the midst of it all are the tokens of our characters: Tyrion’s Hand Of The Queen pin; Arya’s Needle; Bran’s wheelchair; Jaime’s golden hand; Daenerys’ dragon chain; and Jon’s Longclaw. There’s also a feather floating around, one that we glimpsed in a previous teaser. If you’ve forgotten, the feather was placed on the crypt of Lyanna Stark by Robert Baratheon in the premiere episode. Those crypts, man. They’re going to be important. So, what? Is everyone dead? 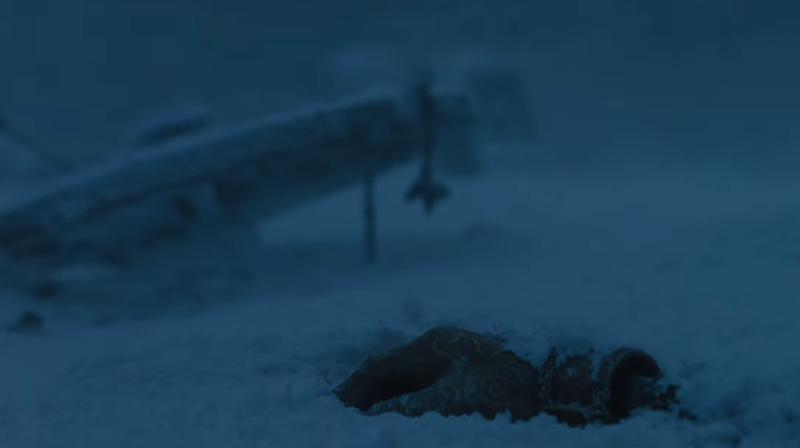 Is this the “aftermath” of the battle against the White Walkers? That would be a weird thing to tease, so it’s more likely a vision of Bran’s or just a cruel concoction of the HBO marketing department. Watch it below. Game Of Thrones’ final season premieres on April 14. Follow our comprehensive Month Of Thrones coverage here.